​Andrew Savitz is a creative business leader, advisor, author and speaker, with over 20 years of hands-on experience assisting corporation to become leaders in sustainability and environmental performance and reporting. An internationally known expert on corporate social responsibility and sustainability, Savitz is the author of The Triple Bottom Line: How the Best Run Companies are Achieving Economic, Social and Environmental Success – and How You Can Too. As a lead partner in PricewaterhouseCooper′s (PwC) global Sustainability Business Services practice, Savitz was PwC′s liaison delegate to the World Business Council for Sustainable Development and represented the firm on environmental and sustainability related matters at the Conference Board. He authored PwC′s widely cited 2002 Sustainability Survey- the first of its kind in the United States. Now working as a senior consultant at Sustainable Business Strategies, Savitz assists companies to assess, design, develop and implement sustainability programs from vision to reporting, including policies, procedures and programs related to human rights, supply chain management, HIV/AIDS, political contributions, environmental, health and safety management and compliance, community and investor relations, codes of conduct, and international and national standards and guidelines including the United Nations Global Compact, the Global Reporting Initiative, the CERES principles, the Dow Jones Sustainability Index, and the McBride principles. He is an expert in stakeholder analysis, mapping and engagement as well as an advisor on socially responsible capital expenditures and investment. Savitz created the environmental advisory services practice at Coopers & Lybrand, building it to become the partner-in-charge of PwC′s Environmental Enforcement and Compliance Management services. His practice assisted companies to develop and implement environmental compliance and performance management programs. Savitz also was a regional leader of PwC′s Governance, Risk and Compliance services and the environmental due diligence and dispute analysis group. Prior to PwC, Savitz served as General Counsel in the Massachusetts Office of Environmental Affairs. He directed all legal matters for the Commonwealth related to environmental affairs, environmental law, regulations and policy. As the Commonwealth′s first Assistant Secretary for Environmental Law Enforcement, he was instrumental in creating the Massachusetts Environmental Crime Strike Force which coordinated the environmental enforcement of criminal and civil laws throughout Massachusetts. Savitz also worked on the regulatory and policy aspects of Environmental Impact Assessments under the Massachusetts Environmental Policy Act (MEPA), and on efforts to improve the Commonwealth′s hazardous waste cleanup, air pollution control and coastal zone development laws. While General Counsel, Savitz worked closely with the Environmental Law Institute in Washington, D.C. where he taught courses on environmental law and regulations, compliance and enforcement, environment and the media, environmental ethics, and environmental negotiations. Working in conjunction with ELI and the Flashner Judicial Institute, he obtained a grant and created, organized, directed and helped teach the nation′s first environmental training program for state court judges to approximately 75 judges in New England. He created and taught a two day communications training program for the Global Environmental Management Initiative (GEMI). While attending Georgetown University Law Center at night, Savitz was a staff member for United States House of Representatives, Commerce, Consumer and Monetary Affairs Subcommittee. He conceived and organized hearings on regulatory policy related to finance and consumer protection. He drafted the Corporate Democracy Act, which was introduced to Congress in 1980 and presaged many of the corporate governance issues being debated today. Savitz founded and currently chairs the Board of the Massachusetts League of Environmental Voters and serves on the Board of Directors of the Environmental League of Massachusetts and the Advisory Board of the Boston Zoos. Appointed by US EPA Administrator Carol Browner to the National Environmental Educational Advisory Committee, Savitz now serves on the Steering Committee of the Harvard University, John F. Kennedy School of Government, Environmental and Natural Resources Program. Savitz was graduated from the Georgetown University Law Center, where he was an editor of the Georgetown University Law Review. He attended New College Oxford as a Rhodes Scholar, earning a degree in Philosophy, Politics and Economics. He graduated, Phi Beta Kappa, from The Johns Hopkins University. 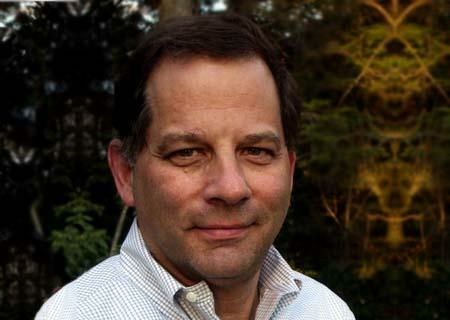 Andy Savitz′s wide-range of experiences with sustainable practices make him a knowledgeable environmental speaker and a true expert in guiding businesses to success through implementing environmental policy. He uses his first-hand experience to guide your organization toward continuous success through cutting-edge sustainability. ​"Andy has been adding valuable guidance to PepsiCo's sustainability efforts from the time we first embarked on our journey. He masterfully bridges the gap between business and society, and helps companies identify the true 'sweet spot' that is a win for both." ​Andy Savitz provided us with insightful, experienced counsel during the creation of Ball Corporation’s first sustainability report. Andy and his team helped us to effectively apply the triple bottom line as we identified our sustainability priorities and our reporting methodology, and provided invaluable assistance that enabled Ball to establish a detailed, formal sustainability program in less than 18 months. They gave us space to define our company’s unique goals while providing thoughtful suggestions at exactly the right moments, and were fully engaged with us across our global business.